In January 2001, with generous funding from the Guy’s & St. Thomas’ Charitable Foundation, Professor Hilton Davis and Dr Crispin Day established the Centre to develop and evaluate the Family Partnership Model (formerly known as The Parent Adviser model). 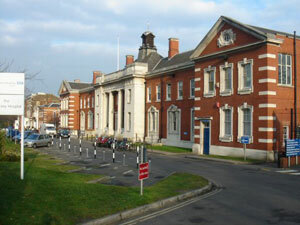 The Centre is part of the National and Specialist Child and Adolescent Mental Health Directorate of the South London and Maudsley NHS Foundation Trust. We have close links with King’s College London through the Florence Nightingale School of Nursing & Midwifery and the Institute of Psychiatry as well as other academic institutions in the UK, Europe and Australasia. The Centre developed the Family Partnership Model (previously the Parent Advisor Model); an evidence-based approach to working with children and families. Based on the Family Partnership Model there are also supplementary modules available in Antenatal & Postnatal Promotional Interviewing, Early Promotion & Prevention and Parenting Toddlers and Young Children. Specialist training courses have been developed for education - - and adult mental health services - . The Centre's portfolio has since expanded to include Empowering Parents Empowering Communities (EPEC) - a community based programme training and supervising local parents to run parents’ groups in schools and children’s centres and - a manualised, structured, non-linear parenting programme designed to help families with primary-school-aged children who have severe and persistent conduct problems.